Book one of the offers we have found today and you can save big on your next getaway anywhere you choose to go. There is a 4 nights all inclusive Punta Cana escape here from $739 per person for which you can pay $160 less per person if you depart on some dates between May 1 and June 22 2016. You will also find here a week long cruise with Norwegian to Alaska and the glaciers from $649 per person, the Best Western Castillo Sol hotel in Daytona Beach for $55 a night and cheap domestic airfares with Virgin America from $69 one way and more. Act now, these might be sold out in a glance! This package we have on the top of the table has got 4 nights at the Riu Palace Punta Cana, flight from Fort Lauderdale to Punta Cana and back, all inclusive package at the hotel plus taxes. 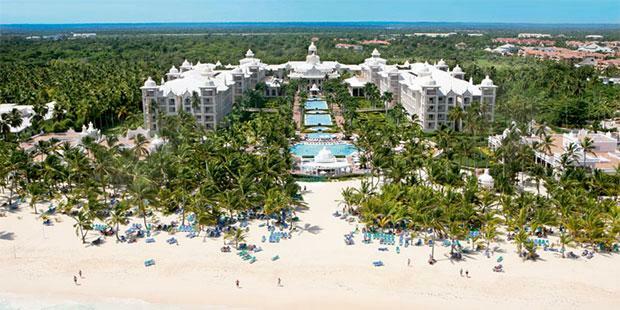 Compare the prices of providers for similar Punta Cana vacations and you may find a better offer. This entry was posted on Thursday, December 10th, 2015 at 3:26 am and is filed under Top Deals, Vacation Package Deals. You can follow any responses to this entry through the RSS 2.0 feed. You can leave a response, or trackback from your own site.